Not sure how to get a conversation started? Need help keeping the conversation focused on the topic you're wanting to discuss? Voke provides unique kickstarters for each video you share. Once you've started a conversation you'll see a "+" button at the top. Just click the "+" and you'll see five questions you could ask your friend as well as a Bible verse that is relevant to that film. 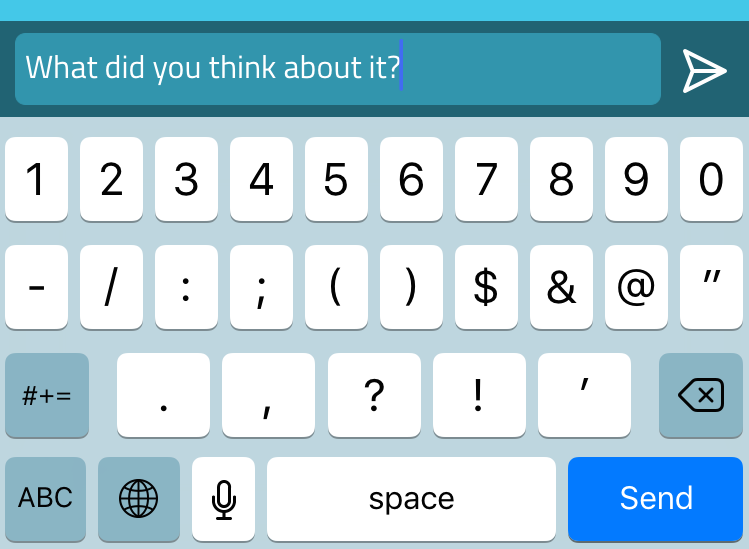 Just tap the question you want to ask, and it will be placed in your message bar for you to send. 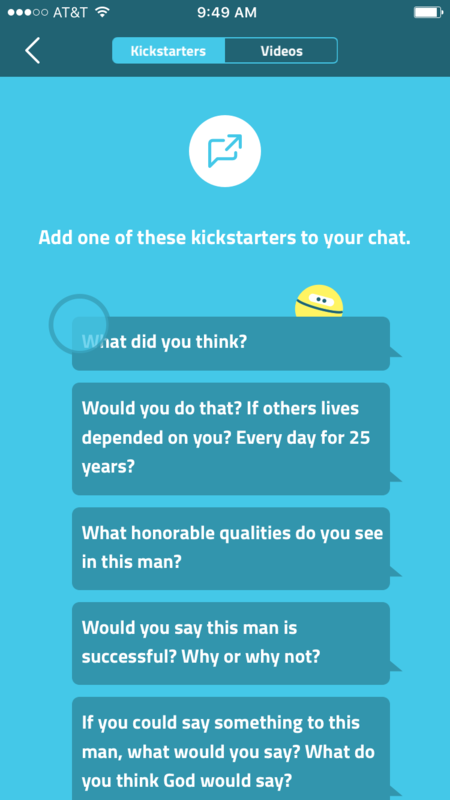 You can also tap in the message bar and edit the suggested kickstarter question.